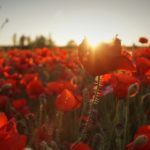 ANZAC Day parades and memorial services will be held across the Coromandel District to honour the servicemen and women who displayed courage and sacrifice serving New Zealand in wars overseas. Colville: 6am Dawn Service at the Colville War Memorial Hall. Breakfast will be provided afterwards by the Colville Community Health Trust. Coromandel: 10am ANZAC Service at Memorial Reserve, 355 Kapanga Road, Coromandel. Followed by morning tea at The Club, 190 Woollams Avenue. Tapu: 5.45am Dawn Parade – from Tapu Fire Station to Cenotaph, Tapu Hall, followed by service. Breakfast will be provided afterwards at Tapu Fire Station. Thames: 5.45am Dawn Parade – from Cochrane and Pollen Streets, Thames, marching to Thames War Memorial Civic Centre for 6am service. 9.45am Civic Parade – from Sealey and Pollen Streets, Thames, followed by 10am service, Thames War Memorial Civic Centre Cenotaph, Mary Street, Thames. Pauanui: 6am Dawn Service – Pauanui Surf Lifesaving Club, Pauanui Boulevard, Pauanui (Pauanui Sports and Recreation Club if wet). 11am Civic Service, assemble at Pauanui Garden Centre at 10.45am, marching off to Pauanui Sports and Recreation Club, Sheppard Avenue, Pauanui for 11am service. Tairua: 6am Dawn Service, Tairua Ex-Servicemen’s Cemetery, Main Rd, Tairua. 11am Civic Service at Tairua Community Hall, Main Road, Tairua. 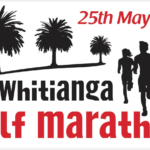 Whangamata: 6.30am Sunrise Flag Raising and Service – Assemble at Whangamata Surf Club. Following the service, cooked breakfast will be available at Blackies in Williamson Park. 10.20am Civic Parade led by the Bay of Plenty Pipes and Drums from the Council Offices, Port Road, Whangamata. 11am Civic service at Whangamata War Memorial Hall, Port Road, followed by a light lunch and entertainment at the RSA Clubrooms. Whitianga: 5.45am Dawn Parade – from Mercury Bay Club car park, Cook Drive, followed by service at Soldiers’ Memorial Park. Breakfast at the Mercury Bay Club is after the service. Matarangi: 10.30am Assemble at corner of Cordyline Crescent and Ake Ake Ave to form up and march off at 10.40am followed by a 11am service at Matarangi Volunteer Rural Fire Force Station, near Matarangi Shopping Centre.